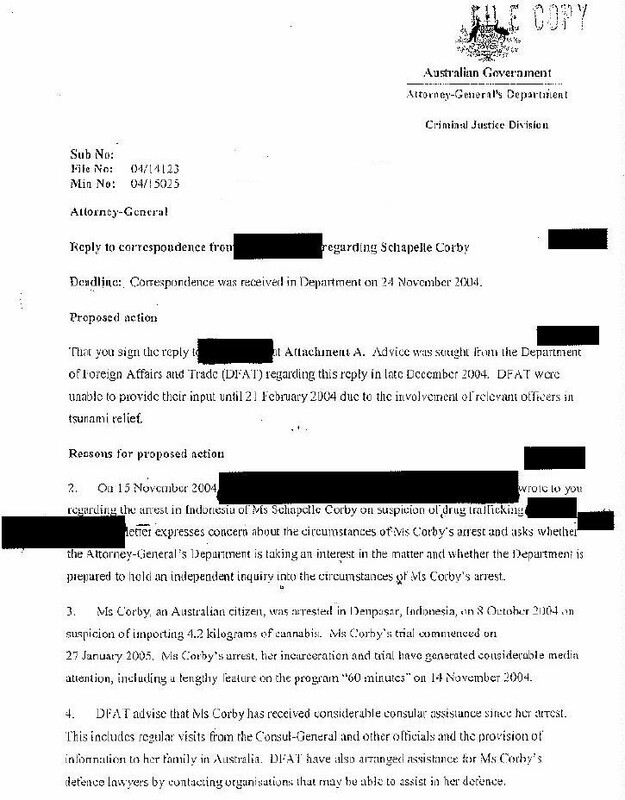 During the early weeks of Schapelle Corby's incarceration, and before the Australian government had formulated its hostile policy, a number of parties understood that there were substantive and serious issues in play. This point blank refusal to consider such a move fully aligns with the ongoing position of the AGD with respect to the other Schapelle Corby related issues it was dealing with. The reference to 'Independent' could imply independence from Indonesia. However, the reference to "an independent inquiry into this matter in Australia" suggests that the request could pertain to independence from one or more Australian parties. It could reflect the known corruption within the AFP, and the allegations of AFP involvement in drug syndication at the airports. Equally, it could refer to the AGD itself. 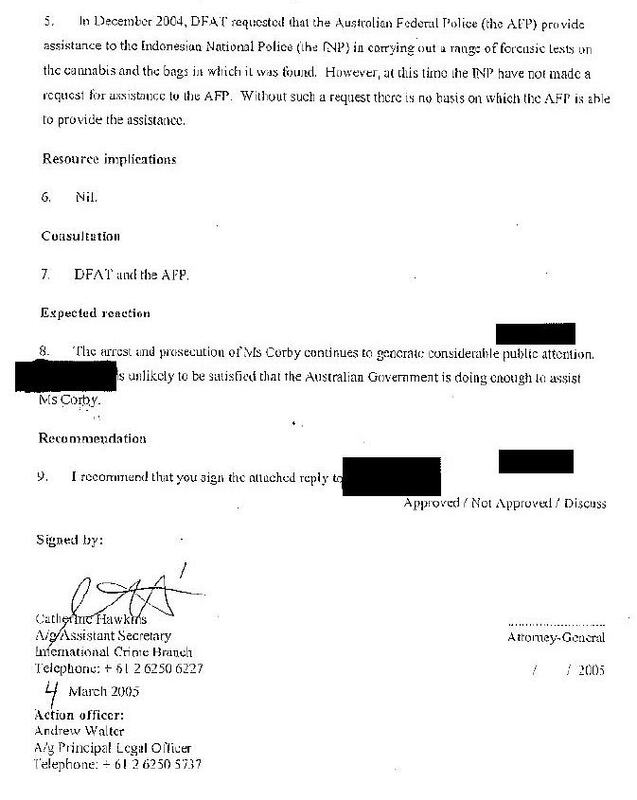 The government's own records on the subject clearly demonstrate that the AGD had, in practice, lost at least some of its own independence with respect to Schapelle Corby. 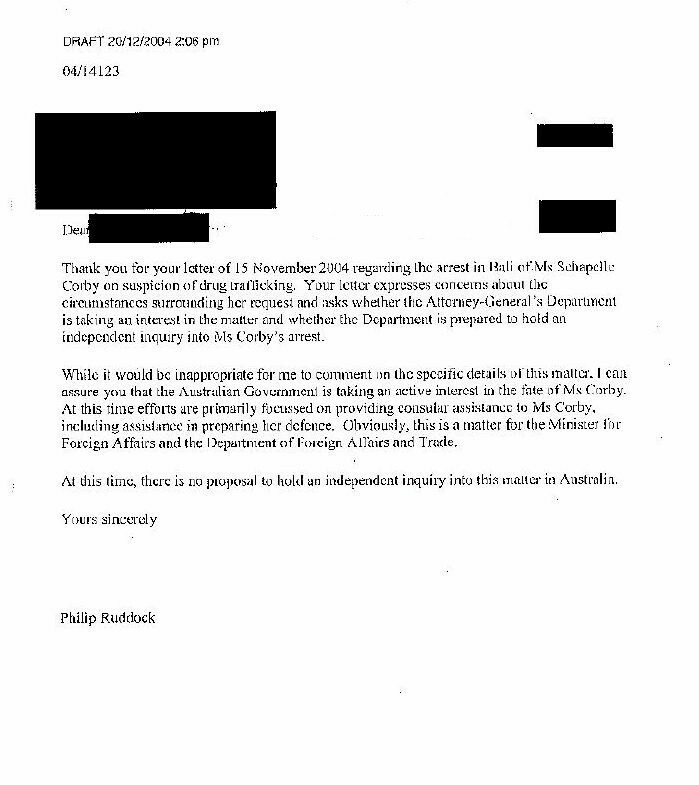 Whilst Phillip Ruddock was the Attorney General, many aspects of the Schapelle Corby case were apparently being managed on behalf of the AGD by the Justice & Customs Minister. Correspondence and engagements, which might be expected to fall within the remit of the AGD, were in many cases being undertaken by a party whose actual portfolio included airport security and the Australian Federal Police.